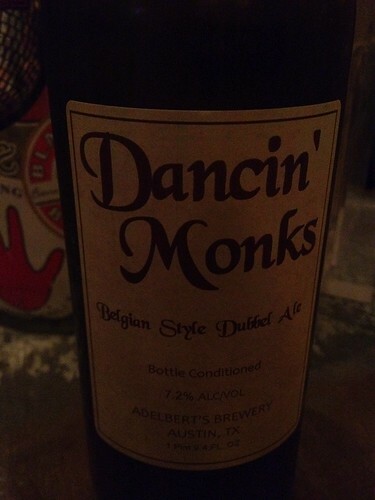 Adelbert’s Dancin’ Monks, originally uploaded by adambarhan. A: Pours a dark hazelnut brown color. A two finger white head forms and recedes to a ring that sticks throughout. Lots of sticky lace is left behind. T: Toasted malts with a nice sweetness.